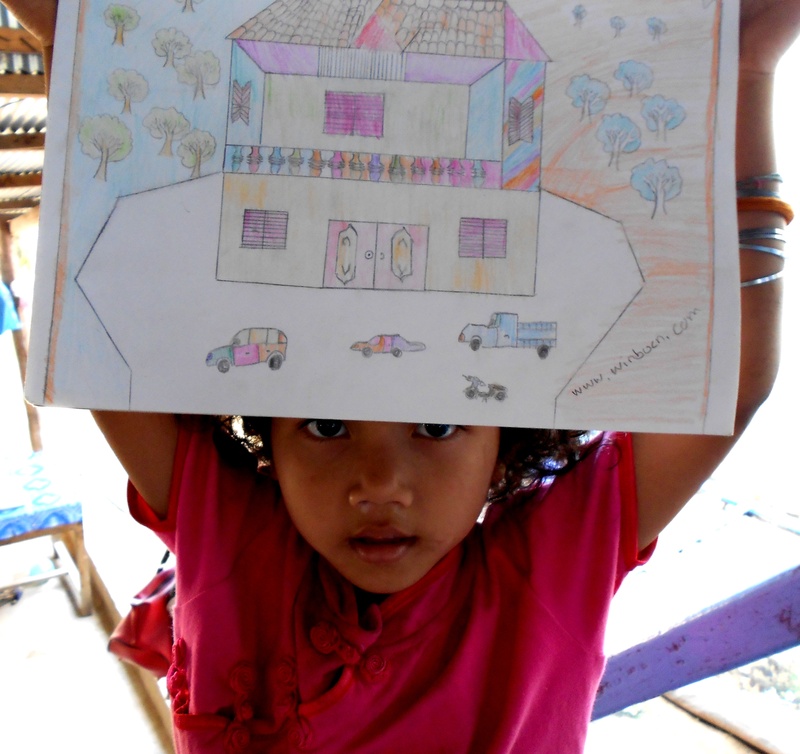 The CDO Family Home Project is the most important ongoing project that we are currently undertaking. 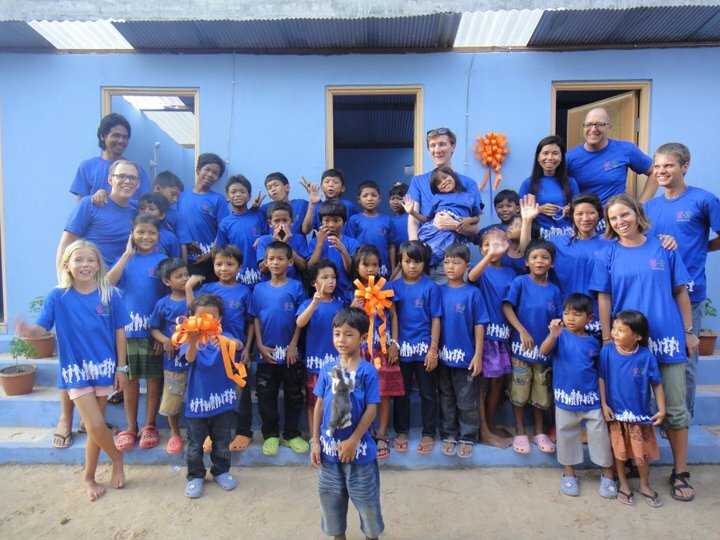 The CDO home project strives to maintain a suitable living situation for the resident children which means proper sanitation, clean water, and of course food and clothing. It is also very important to us to assist in improving the living conditions in Leap Chass Village so that the children are able to stay in a stable environment with their families. The village is greatly in need of new clean water wells, bicycles for day to day transportation, a truck for work and emergency transportation (imagine a medical emergency in the middle of the night and no way to get to medical care! ), assistance in developing business so the people can make money to support the children themselves, new house construction and repair of existing homes. The tasks are large but the children are worth it and deserve to grow up in a safe environment! At the CDO home we have many goals that we would love to accomplish. Some of these are re-occurring needs, such as food, clothes, cleanliness requirements, and the rent for our land. Others include needs to allow necessary expansion of CDO and new projects, all of which we believe are very important. New goals are always arising as we meet new challenges as CDO continues its work. As we continue to try and help the development of the village, we aim to provide the best possible living and learning environment for the children from Leap Chass village at CDO home in Siem Reap. Improve and increase school facilities: build one more classroom and one room to provide extracurricular activities. Vegetable garden: it is one of the government requirements. Reduces CDO’s expenditures and in the future can be a source of income. Vegetables (that suit our needs) – cucumber, chilly, papaya, morning g lory, tomato, beans, mushrooms, eggplant, garlic and mint. Sewing center: It is one of the main projects of CDO. The goal is to be more financially independent and to help Leap Chass women (that will come to CDO) to learn how to sew so they can have a new source of income. Truck: it is very important to have our own truck to be able to take the children and food to the village or to bring the parents to Siem Reap, so the children can keep in touch with their families. Extracurricular activities such as a music school, computer classes and art classes are very important for the children, so they can gain and improve other skills. Nowadays we completely rely on donations made by visitors, volunteers and sponsors. Our goal is to be, at least, 40% self-sustainable, so during the low season (when we receive less donations) the living conditions of the children don´t decrease. That is why projects such as the truck, vegetable garden, sewing center, chicken farm and solar panel, are really important for us, because they will allow us to decrease our expenditures and to increase our income. Vegetable garden – A vegetable garden at CDO will be a source of food. This vegetable garden will grow vegetables such as cucumber, tomato, and other Cambodian vegetables. This vegetable garden will alleviate financial pressure of sustaining around 30 children. The vegetable garden will not be run for profit but simply for providing food for the children. Souvenir shop – The CDO business will be the main source of income. The business will be used to pay for CDO necessities such as rent, food, clothes, and other essential needs. However, if there is an excess of money it will either go into savings for the low season or will be sent to the village. To be more financial independent by sewing and selling the products in town (Night Market), and be less depended on random donations. Helping Leap Chas women to have a job and earn money by coming to CDO and work in sewing. To buy a sewing machine and fabrics. To hire a professional sewing lady and start sewing sketches. Teach the older kids how to sew. Start sewing bags, hand bags, wallets, cloths etc. Once there’s enough money to buy more sewing machines we’ll bring the Leap Chass women to learn how to sew and start working in CDO. One sewing machine costs 250$. We need 2 more sewing machines. The monthly salary of a professional sewing lady is 120$. Regardless of CDO home projects, there are a few things that continue to happen, no matter what phase we are in. One event is the village visit. Once a month on a Sunday, we take the children out to the Leap Chass Village for one day. During this time, the children get to spend time with their family and friends back in their village. Every three months we spend a whole weekend (Friday evening to Sunday evening) at the village. The children miss one day of school (Saturday), but we find that it is more important for children to spend time with their family. The children really enjoy this time. For us it is really important that the children can spend time with their parents, that is why we wish to buy a truck, so we can have our own transportation to take the children to the village.